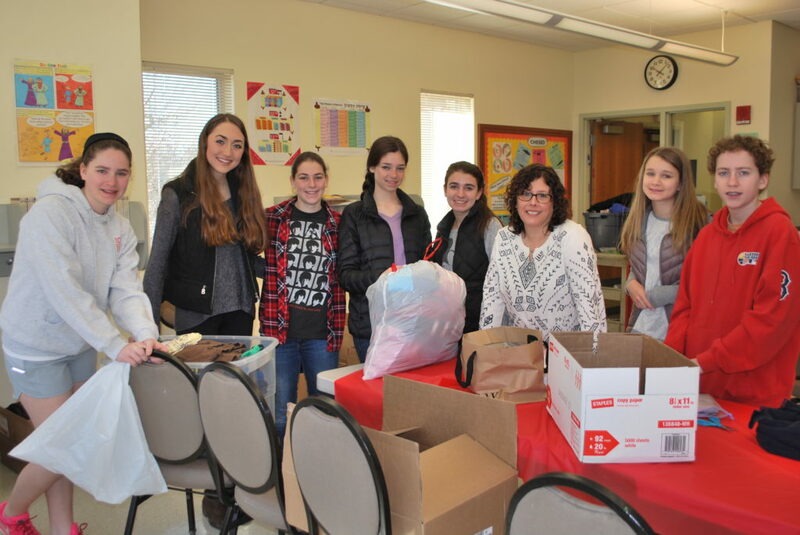 The Community service project is a vital part of becoming a Bar or Bat Mitzvah at Temple Israel and is required for all students. We ask that 18 hours be completed before your service but hope that the concept of Tikkun Olam (repairing the world) will become a part of your family’s ongoing life. The list below is meant to be a guide as you begin this part of your B’nei Mitzvah preparation. You will find a list of suggested projects, and resources as well as ways to incorporate social action and community service into your celebration. Please know that projects that appear in this brochure are only a few of the possible projects you might choose. The organizations listed are ones that students have worked with in the past. This list is not meant to be complete. And note that while This is the most updated contact information we have for the organizations listed, we cannot vouch for the accuracy of all the information as web sites and phone numbers do change over time Please feel free to investigate any other possible community service opportunities that will allow you to meet the requirements for B’nei Mitzvah. We hope that this booklet will help you to find a project that will be equally helpful and generous as it will be fulfilling for you and your family to be involved with. Contact Karen Giunta at (203) 341-1498. United Way of Westport Weston, Inc.
Books– An arrangement of kids books, audio tapes, videos and CD’s can then be given away to a deserving organization. Food– An arrangement of canned and boxed food in a basket can be donated to a local food pantry. Toys– You can make an attractive basket of toys and distribute them to a children’s charity. Sports– Try collecting sports equipment and arranging centerpieces. This can be donated to a school or children’s organization. Use your imagination! There are hundreds of ways to display items that you have collected which can then be donated to a charity organization. Remember Us: Holocaust B’nei Mitzvah Project offers an opportunity for B’nai Mitzvah students to remember a child lost before the time of his/her call to the Torah. The North American Conference on Ethiopian Jewry Bar/Bat Mitzvah Twinning Program provides a terrific opportunity for Jewish Youth to get to know and help their Ethiopian– Israeli peers. By participating in the program, North American Jews provide Ethiopian students in Israel with books, school supplies school trips and more! You may choose to do a collection in order to donate particular items to the charity you have chosen. The following rules explain how collections are done at Temple Israel. 2. Check with Temple Israel Staff to be placed on the calendar. You may have a 2-week period for your collection. The flyer must be approved by Temple Israel staff. Following approval you will be responsible for making flyers, counting them out for each class and clipping them together. The office will place the flyers in each teacher’s mailbox to be distributed to each child in religious school. 4. Make a collection box. The collection box must be attractively decorated and placed at the school entrance. The box must be clearly marked to indicate what is being collected, the organization and the dates of the collection. The box must be emptied as needed and kept tidy for the duration of your 2-week collection period.